The Trail Mayor | Mountain Biking is my Third Place. Trail Mayor is my name. Connecting with you on the dirt is my mission. Mountain Biking is my Third Place. Trail Mayor is my name. Connecting with you on the dirt is my mission. How exciting that North Carolina will be the 19th league in 18 states to have an official National Interscholastic Cycling Association (NICA)! The NC Middle/High School race season starts in March 2017, but practice season start December 2016. Learn more by visiting their website, Facebook, and Instagram sites. Also, keep up with the latest NCICL news by signing up for their eNewsletters. Yep, fatbiking in Wilmington, NC is alive and well! 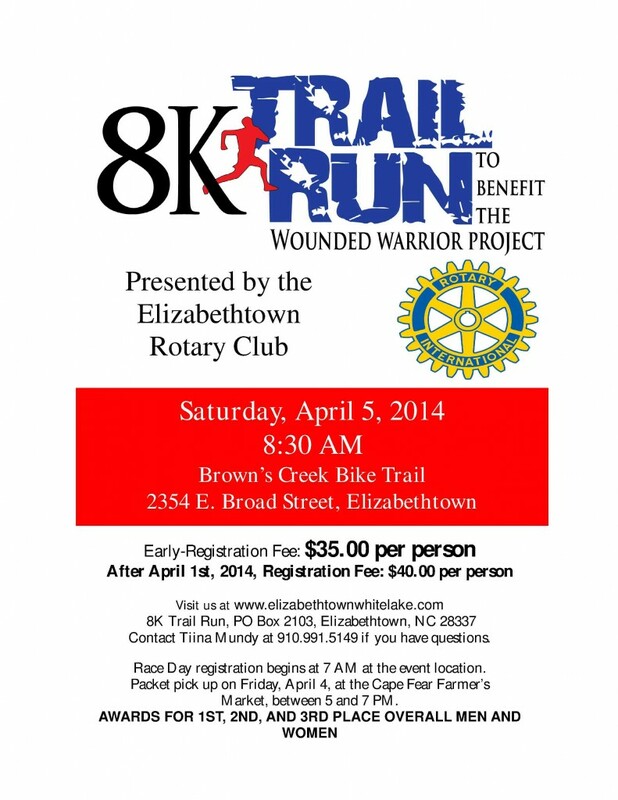 I could not be more proud to be part of a local mountain bike club that is promoting their NEW Browns Creek Trails-Elizabethtown, NC with its first EVER event being the Wounded Warrior 8K Trail Run this Saturday, April 5th. What an honor to have our club’s hard work showcased at such a special event. 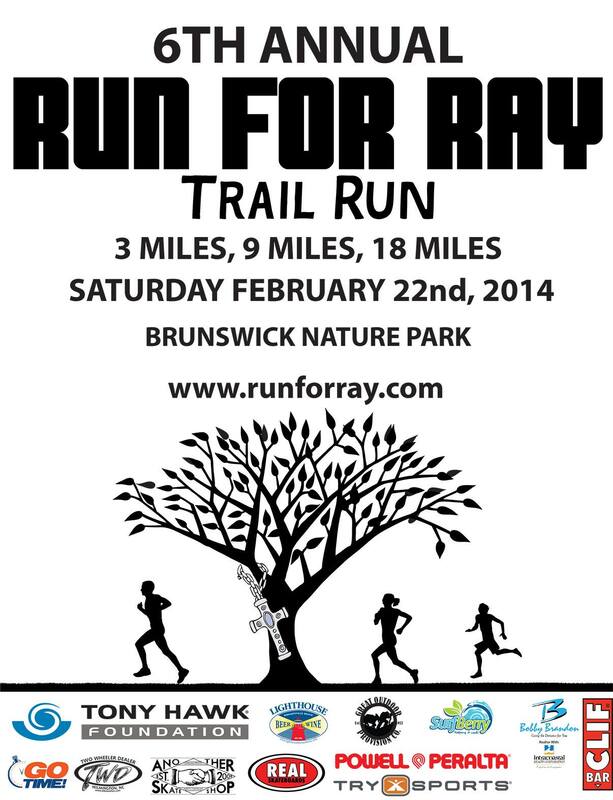 Download 8K Registration Form or 8K Rotary Sponsorship Form here. Just an update to say that my posts here are still at a slower pace than I have hoped. The new job search is taking lots of my time so most of my posting activity is on Facebook and Instagram. Hopefully, life will get back to normal one day soon, and I will do better at providing consistent MTB related posts. Don’t give up on me and keep checking the page from time to time! Oh yeah, check out the bike I got to ride last Sunday! 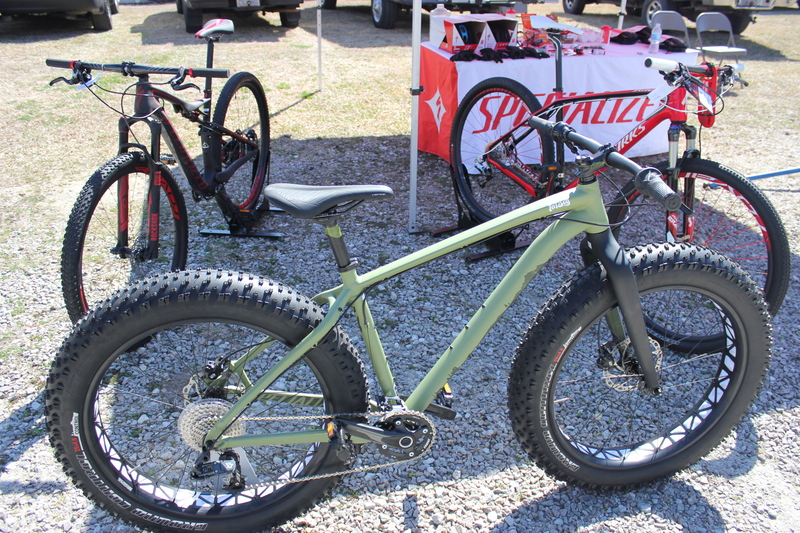 It’s one of the few Specialized Fatboys on the NC East Coast! I was in Fat Bike Heaven! If you were like me in the 80′s, skateboarding consumed your life just as mountain biking seems to be doing in the present. Eagerly awaiting your Thrasher magazine in the mailbox, there were many times you would see Ray Underhill from Powell-Peralta blasted across the pages doing nasty tricks you could land ONLY in your dreams. Last year I wrote a more detailed shout out to the 2013 race you can read here, but here is the flyer for this year’s coming race on February 22nd, 2014. Check out the race site here! I have been enthralled with Vision Cycling ever since last year’s introduced to pro MTB racer, Nathan Guerra, on Mountain Bike Radio. Geurra’s passion and desire to invest into the lives of the next generation of bikers is very evident. 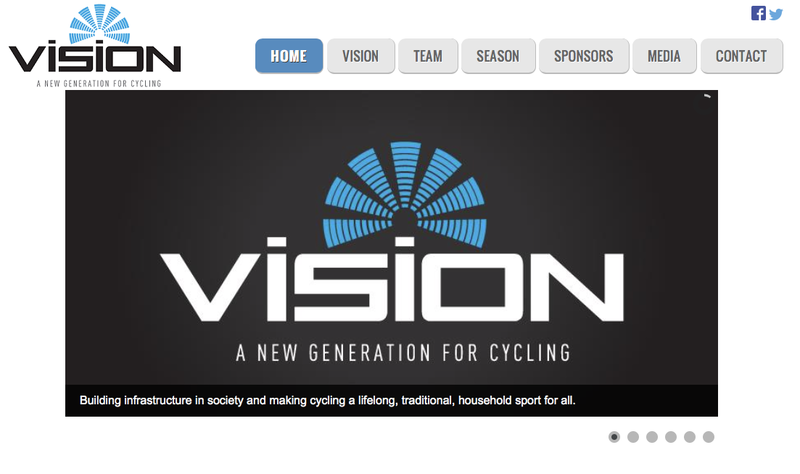 I hope you will take time to connect with one of my favorite pro riders, Nathan Guerra, and Vision Cycling through Facebook, Twitter, and their website. So, you are wondering which bike is next for your personal fleet! 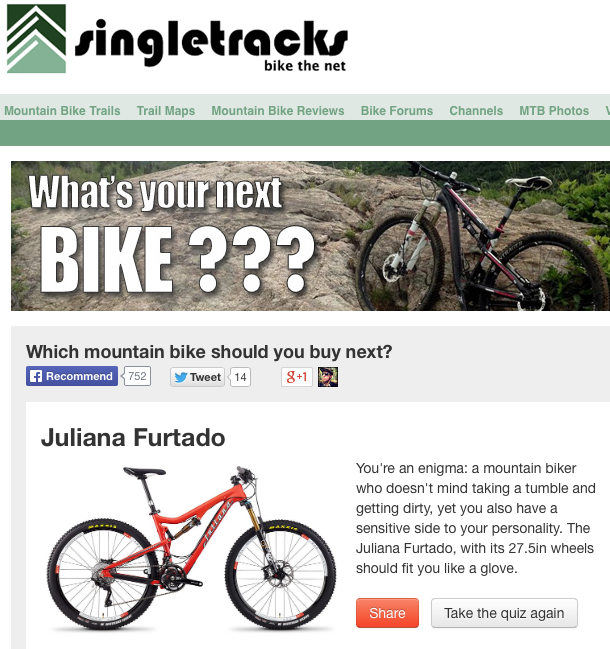 Singletracks.com has the answer for you, but you must take a short online quiz to see the results. Not only will be one step closer to a great bike purchase, you might get humbled like myself and realize that you ride too soft for a guy! Trail Mayor results below! By the way, I did test ride a Jamis Nemesis 27.5 a few weeks ago and I really liked it!